If your dog loves a never-ending game of tug of war, the Squishy Face Studio Super Tug Dog Toy is made for him. This braided fleece tug is soft on your dog’s mouth and easy on your shoulder. Designed with a polypropylene webbing strap that gently wraps around a tree, and a super strong marine grade bungee cord that allows your dog to pull on the tug with as much force as he has. The loops at the end of the bungee cord eliminate the need for any extra connectors and even become tighter with use. It's perfect for people with limited mobility or dogs who don’t know their strength. Self-play design is a great way to provide dogs with mental and physical exercise when you're having a busy day. Designed for the most powerful of dogs, but works perfectly for dogs of any size or breed. 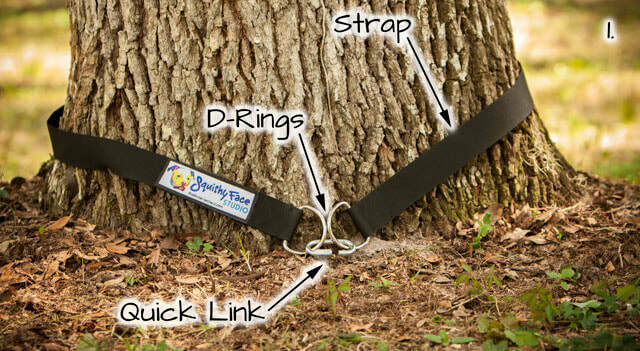 Long strap fits around trees up to approximately 30-inches in diameter and won’t cause damage to the bark. Made from soft braided fleece so it’s safer than rope toys which can fray and choke your dog. Great for people with limited mobility or who don’t have time to play every night. CautionsOnly use the Super Tug outdoors on a grass or earth surface to prevent damage to your dog’s paw pads. Never let your dog bite or chew on the Bungee Cord. Immediately stop them and redirect their attention to the braided Fleece Tug if this occurs. 1. 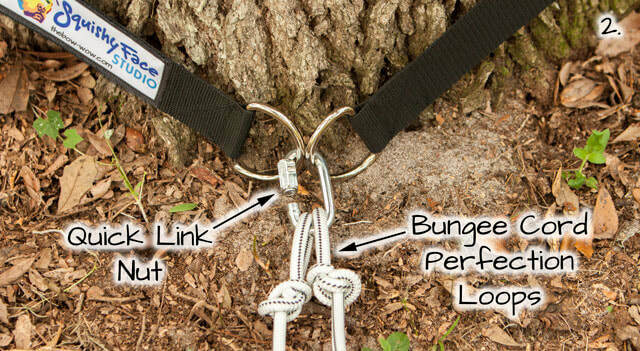 Find a suitable tree, or similar sturdy object, and wrap the Super Tug strap around the base of it, joining the two metal D-Rings together with the metal Quick Link as seen in Photo 1. 2. Thread the Bungee Cord through the loop of the braided Fleece Tug and then attach both Bungee Cord Perfection Loops to the metal Quick Link as seen in Photo 2. 3. Twist the threaded nut built into the Quick Link until the link is closed tightly. The Super Tug should now be ready to use as seen in Photo 3. 4. 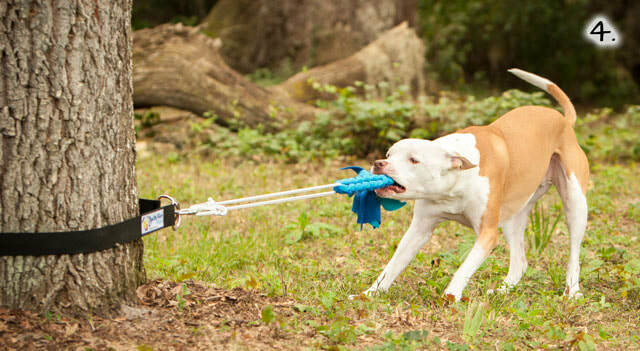 Encourage your dog to start playing tug-of-war by holding the braided Fleece Tug by the looped handle. 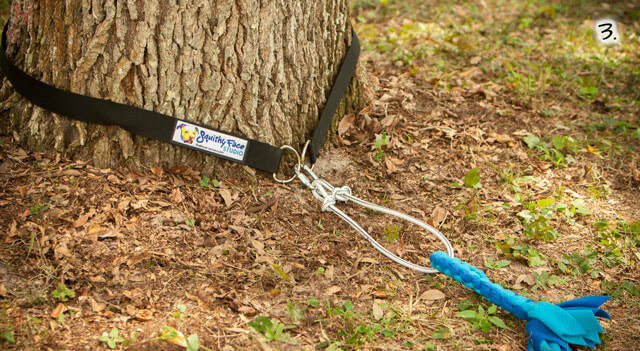 Once your dog begins to pull, release the braided Fleece Tug and allow your dog to continue playing tug-of-war against the resistance of the bungee cord as seen in Photo 4.